Glamour Magazine recently named DukeEngage alum Suhani Jalota ’16 as one of its 2016 College Women of the Year. The magazine annually selects ten young women who have made a serious impact in either their local communities or on a global scale. 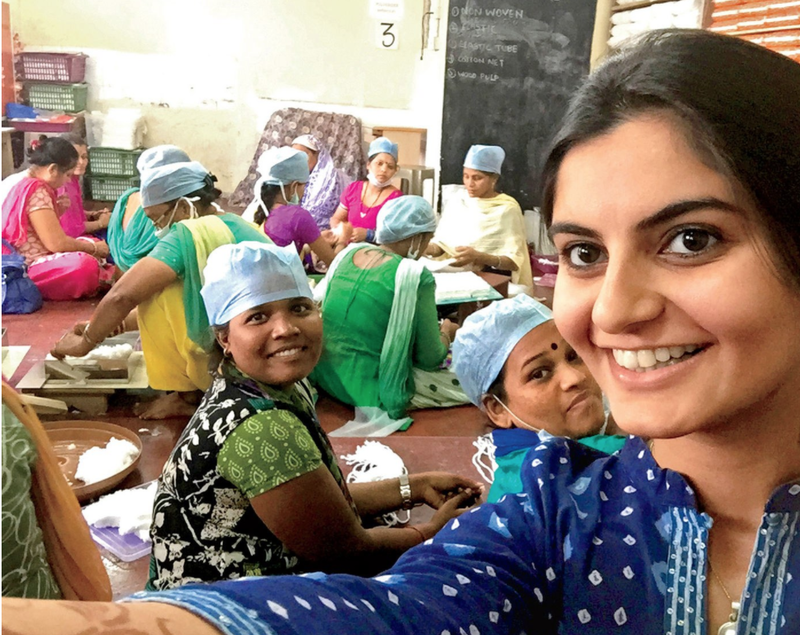 In May 2015, Jalota founded the Myna Mahila Foundation, a social enterprise that helps facilitate access to menstrual hygiene products in impoverished areas of India. Jalota’s passion for global health has long been an aspect of her Duke experience. In 2013, Jalota participated in a DukeEngage Independent Project, which focused on improving sanitation systems and awareness in Maharashtra, India, through partnership with NGOs in the area. Jalota and the Myna Mahila Foundation have since worked to improve women’s health in the Mumbai area by selling high quality feminine hygiene products at a low cost. The award from Glamour Magazine, along with the $20,000 grand price, honors Jalota’s ongoing impact on the welfare of women in the slum communities of Mumbai. To read the feature in Glamour Magazine, click here.